Knowing ourselves and our world. 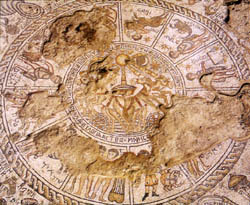 Astrology and astronomy were established as sciences around 5000 B.C.E. in Chaldea and Babylonia.26 Many of the great names in the history of our world civilization were astrologers. Our Western history books simply call them philosophers, astronomers, doctors of medicine, theologians, politicians, mathematicians—ignoring the fact that astrology played a major role in their lives and thinking. 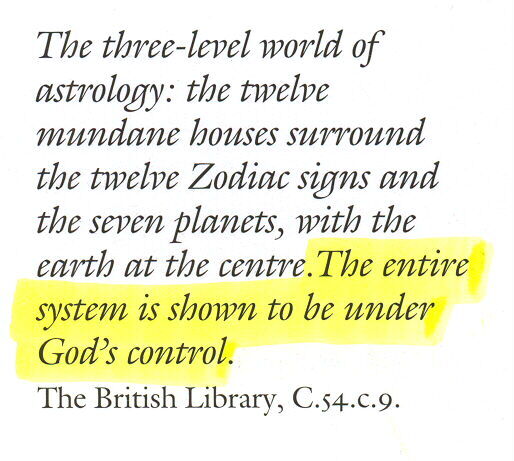 26 Zohar, The History of Astrology (New York: Arco Publishing Co., Inc. 1972) 13-14. 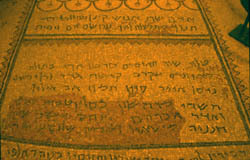 31 Zohar 76. Also see definition #1 for astrology on pg. 111 in Webster’s Ninth New Collegiate Dictionary. 43 Francis King, The Cosmic Influence (New York: Doubleday & Company, Inc., 1976) 43. 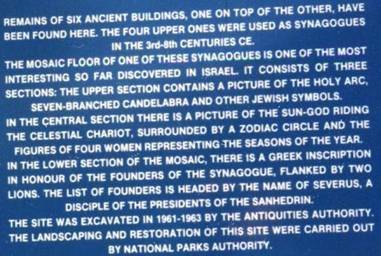 In an effort to discover why an ancient, extremely accurate science is considered pagan and taboo by the present Judaeo-Christian community, I discovered some very interesting information. I offer a portion of that information in this article. Jesus pointed his disciples to the next New Age in Mark 14:13 and Luke 22:10. When it came time to prepare for the Passover Meal in Jerusalem, Jesus instructed his disciples: “Go into the city, and a man carrying a jar of water will meet you; follow him” Since men did not carry water in Jesus’ time, this statement is meant for those who have eyes to see and ears to hear. It is a signal that what is about to happen in Jesus’ life has implications for a later age. The Age of Aquarius is now dawning on Earth. The zodiac symbol for Aquarius is a man carrying a jar of water, pouring it out for a thirsty humanity. Jesus’ ministry was that of a Wayshower for humanity. He incarnated to show us the Way to Ascension at the beginning of the Age of Aquarius. The five major events in his life: birth, baptism, transfiguration, crucifixion, and ascension were physical demonstrations of our own individual pathway to ascension. 2012 marks the year in which Earth and her inhabitants are to ascend to higher planes of consciousness. 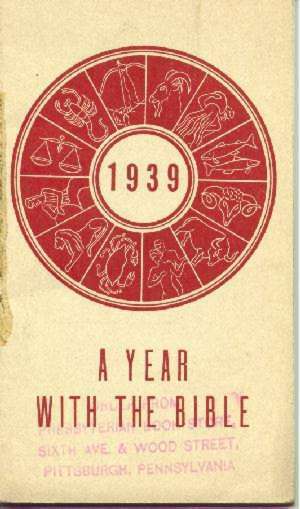 During the last centuries of the Piscean Age, both Jewish and Christian authorities have had trouble explaining why astrology was removed from their religious traditions. That fact that astrology was previously an integral part of both Judaism and Christianity is irrefutable. 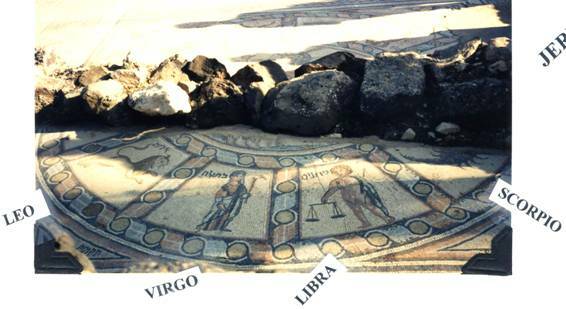 The fundamental role astrology played in Judaism is evident in the mosaic depiction of the zodiac on the floors of ancient synagogues. We cannot look at the evidence and try to explain it away because the artwork does not reflect our own views. The Old Testament character, Daniel, was described: “There is a man in your kingdom who is endowed with a spirit of the holy gods. In the days of your father he was found to have enlightenment, understanding, and wisdom like the wisdom of the gods. Your father, King Nebuchadnezzar, made him chief of the magicians, enchanters, Chaldeans, and diviners.” (Daniel 5:11) Daniel was an astrologer. The Wise Men who came to behold Jesus were astrologers. 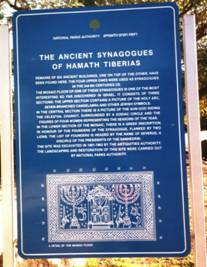 The photos below reveal the ruins of the Hammath-Tiberias synagogue, used between the 3rd – 8th centuries. 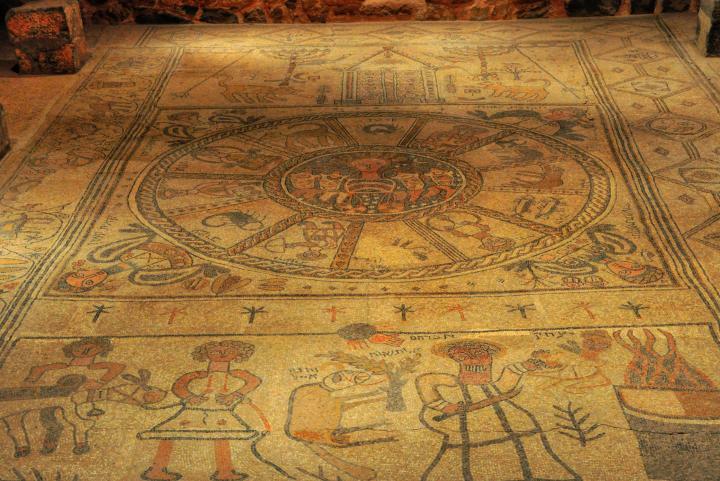 Mosaic of Zodiac on the floor of the synagogue at Zippori (Sepphoris) in lower Galilee. Each constellation is correlated with a month of the Hebrew calendar. 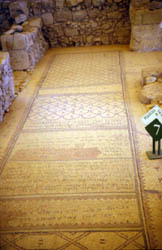 Mosaic Floor of Synagogue at Ein Gedi lists all the signs of the zodiac and identifies their corresponding months of the Hebrew calendar. Ein Gedi is an oasis located west of the Dead Sea. 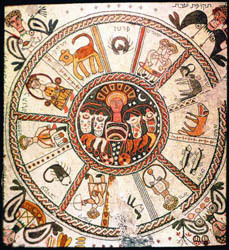 Coming out of Judaism, the Christian religion maintained the essential role of astrology in the life of the early church. 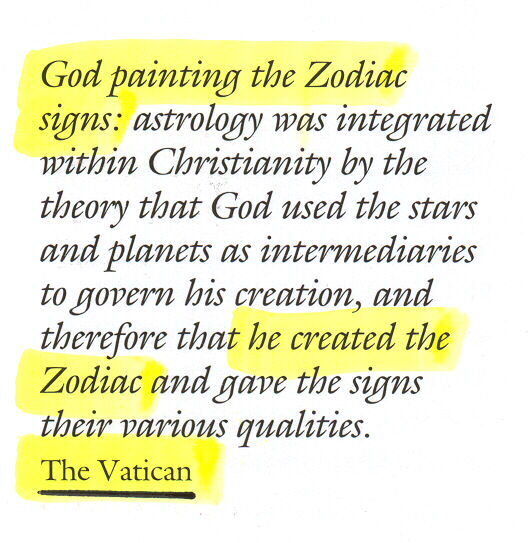 Pope is enthroned under the authority of the zodiac. 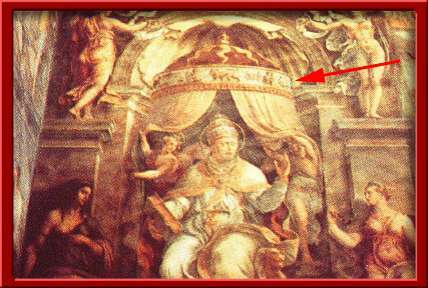 The zodiac sign of Leo – the Lion – is directly over the Pope’s head. Leo rules Rome, Italy, positions of prominence, crown jewels, gold, government buildings, monarchs, politics, presidents. 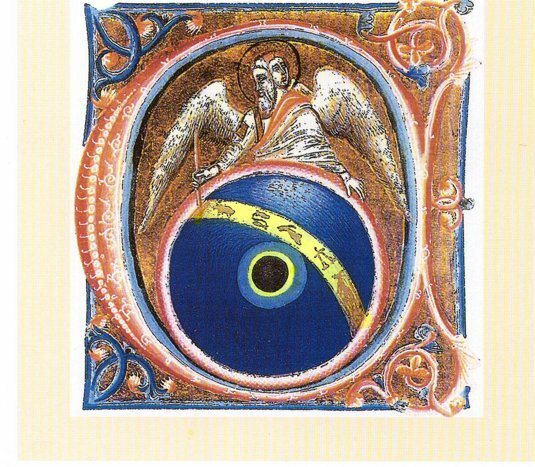 What appear to be cardinals, distinguished persons, and monks are receiving instruction in Astrology. A Bible Study Course retailed by the Presbyterian Book Store located at Sixth Ave. & Wood Street in Pittsburgh, Pennsylvania. Note Zodiac Signs on the Book Cover. 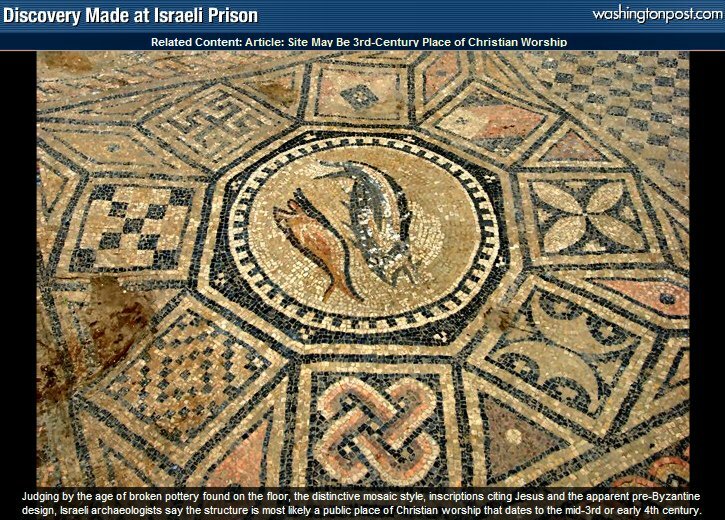 Two fish in the center are the Piscean Age symbol for Christianity. 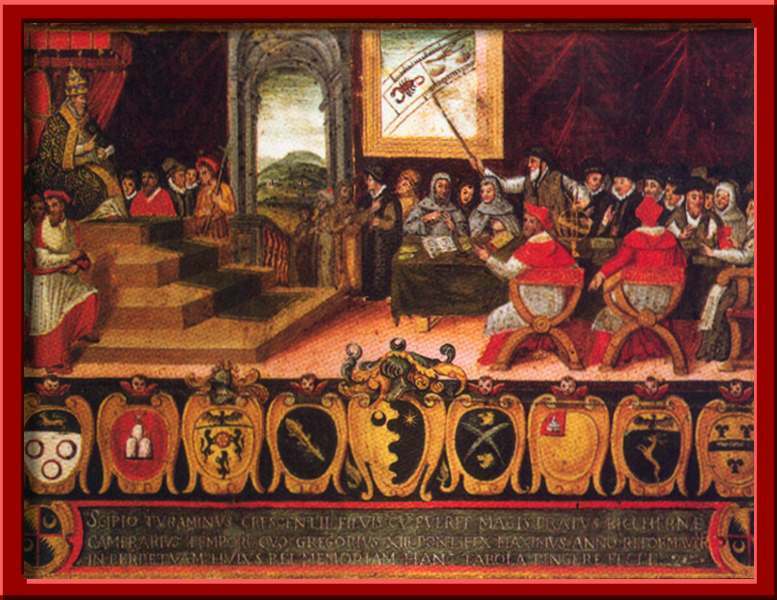 In 1586, Pope Sixtus V issued papal bull Coeli et terras condemning judicial (mundane) astrology. This condemnation has deprived Christians (Catholic and Protestant) from the esoteric wisdom found in astrology to this day. What harm has been done by the condemnation of astrology? Dane Rudhyar calls the individual natal chart our celestial name. It reveals who we are as unique expressions of God and the role we are to play in the unfolding of the overall Divine Plan for Earth’s humanity. Those early Church Fathers who taught or believed in reincarnation were declared heretics, excommunicated, and their books were burned. Other heretics faced horrible deaths, such as being burned alive. Why? Think about it. If you believe you will reincarnate in another body, you cannot be controlled by fear of an eternity in the fires of hell. The Church existed to hold power over the people, to tell them what to believe rather than have them think for themselves. Control by fear is not possible if an individual knows who she/he is (astrology) and that he will reincarnate again and again. There is nothing to fear when we know Truth; therefore, Truth must be hidden from the people. A Church focused on control of its members has no place in the life of those who are on their journey to Soul/Self-Realization. The Protestant Church may have broken from the Catholic Hierarchy, but it has failed to correct its deprivation of esoteric astrology and reincarnation from its members. Protestants have also aborted their responsibility to teach self-knowledge as a unique expression of God. In so doing, it has been easy to teach Christians they are sinful and in need of a blood sacrifice to save them from the eternal fires of hell. Protestant, too, have controlled by fear. 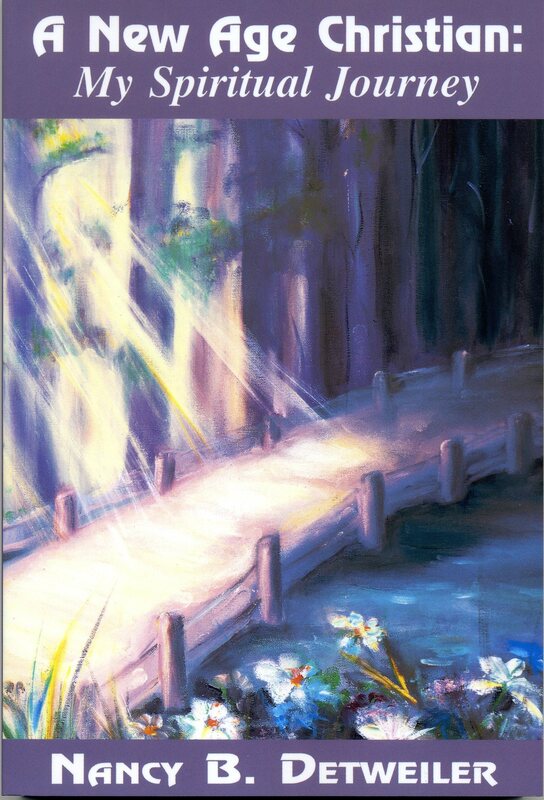 As a result, two of the most loving expressions of Creator God’s caring for us—astrology and reincarnation—have been eliminated from the Christian religion. The ancient science of Astrology is not condemned as an abomination; instead, the mis-use of it is condemned. …. The more I investigate astrology, the more I wonder why people in the West view it with such disdain. After all, it is the most ancient of sciences. I can see how shallow the newspaper horoscopes are. Do people really believe these general predictions are the substance of astrology? I am finding answers to my questions in astrology—persuasive answers. I am acquiring a way to understand people far superior to the psychological tests we use in the rehabilitation evaluations. The interpretations of these tests are too general. One after another, they all sound about the same. But alas, constructing the natal chart and interpreting it takes too long to be feasible in my work. Besides, in many cases, locating the exact birth time proves to be a problem. Dreaming of the day I can study whole series of natal charts for particular disabilities, such as mental retardation and mental illness, I focus upon fine-tuning my interpretative skills. I find in astrology massive evidence for a God of love. Is God’s book the natal chart? All of my life, I have heard and believed that God has a role for each of us in the divine plan. No one seems to know how we find out this role. “Ask God to guide you” is the answer I get whenever I question a minister or teacher. This is easier said than done. I can seek God’s guidance and believe I receive an answer, but I still want a sign of verification. Requesting and accepting God’s guidance is particularly difficult for the person who lacks ego strength and really has no clue as to the existing positive abilities. We all need outside help. A God of love will not send us into a physical incarnation without also providing the means by which we can know the divine plan for our lives. Astrology is one of these means. It is a science of soul transformation. The natal chart reveals our unique positive and negative aspects. We utilize the chart correctly when we use our freewill to choose to focus on and develop the positive aspects. As we do so, the negative aspects act as lessons to be learned. If we choose to be lazy and simply allow life to happen to us, the negative aspects may become our predominant personality characteristics. We may never realize the positive aspects. God’s love for us is evident in the configuration of the natal chart. I see some very difficult charts, but inevitably the positive aspects or influences of strength needed to overcome obstacles are always present. Having access to our natal chart gives us an overview of the possibilities in our lives. We can then freely choose the way in which we relate to these alternatives. We can live with our eyes open, rather than stumble around in the dark, wondering what purpose our lives have. I can feel God’s love as I construct a chart. Astrology is based upon an intimate interconnection with the entire universe. This universal connection is mirrored to us in myriad intricate ways; the planets and stars in our universe are one of them. Just as the Moon affects the ebb and flow of the ocean waves, so the planets and stars in our universe affect us. I find it comforting to know that I am a vital part of the universe. I have a celestial name given to me by the universe in which I live. The young man with cerebral palsy has a celestial name. The quadriplegic college student has a celestial name. Even the small boy, locked in a distorted body without the ability to speak, has a celestial name. God does not allow those, born with deformities of body or minds challenged in their ability to comprehend, to enter this physical life without a means of learning their celestial name. And in that name can be found purpose and meaning in their present lives. Feel the difference it makes when we realize these young people have a celestial name. Why is our Western society ignoring this valuable healing tool—the natal chart? Part of the reason is that astrology is associated with the occult, a word that seems to conjure up all sorts of weird fantasies. Some people believe the occult is Satanism, black magic, witches, evil. The word occult simply means “not revealed, secret, hidden from view.” It deals with “matters regarded as involving the action or influence of supernatural or supernormal powers or some secret knowledge of them.”10 The miracles of Jesus can be termed “occult” because we cannot explain how they happen. Jesus’ miracles are evidence that he knows more about the supernatural world than we do. Does this make the occult a negative reality to be feared? Yes and No. Humanity has, from time immemorial, sought to use all knowledge for its own selfish gain. Access to and knowledge of the supernatural is a temptation many seize upon for their personal gain. Jesus faces the temptation of using his knowledge of the supernatural for his own gain during his forty days in the wilderness. He knows he can transform the stones around him into bread; that angels are capable of preventing a fall from high places; that he can use his knowledge of the supernatural to seize nations and set up his own kingdom on Earth. Jesus can choose to misuse his understanding of the supernatural or the occult. The difference between Jesus and many human beings is that he has the spiritual strength and integrity to resist these temptations. Jesus chooses to use his knowledge of the occult in ways that bring healing to humanity. Personal gain is not Jesus’ agenda. In the hands of Jesus, the occult is not a negative reality. In the hands of many human beings, it is used in negative ways. The occult itself is neutral. It is simply knowledge of the supernatural. How we humans choose to use our occult, or supernatural, knowledge determines whether or not it is a positive or negative reality. Thus our human inclination to misuse all knowledge for our selfish gain is to be feared, not the occult. Occult knowledge, such as astrology, can be extremely helpful when used in beneficial ways. Another frequent criticism of astrology is that it reduces human beings into puppets of the stars. This is one of the inherent dangers in the misuse made of astrology. God created humanity in God’s own image, with the gift of freewill. However, accepting the responsibility for our choices and the resulting consequences is not easy. Many of us would rather be puppets and place the blame for the circumstances in our lives upon something outside ourselves. Astrology can be an easy target. Instead of viewing the chart configuration as a map of the soul’s possibilities, it can be misused and read as “this is how things are.” A road map offers a choice. We study the map and follow the route best suited to our travel plans. There is seldom only one way to reach a destination. Used correctly, astrology does not interfere with our freewill. It simply points out for us the range of options available. We are to use our freewill in defining the route we wish our lives to take. Examining our natal chart, then making informed decisions, we realize God’s divine plan for our lives. It is a gift from God. Our chart configuration reveals to each of us that we are an indispensable, unique member of God’s created order and plan. We belong. We have purpose. We are important ingredients in the whole scheme of creation. Some say the Bible tells us not to use astrology. Before we can see what the Bible really says about astrology, we must define three words that tend to be used interchangeably. According to the level on which we focus, we can verify that the Bible favors divination or that the Bible warns against it. 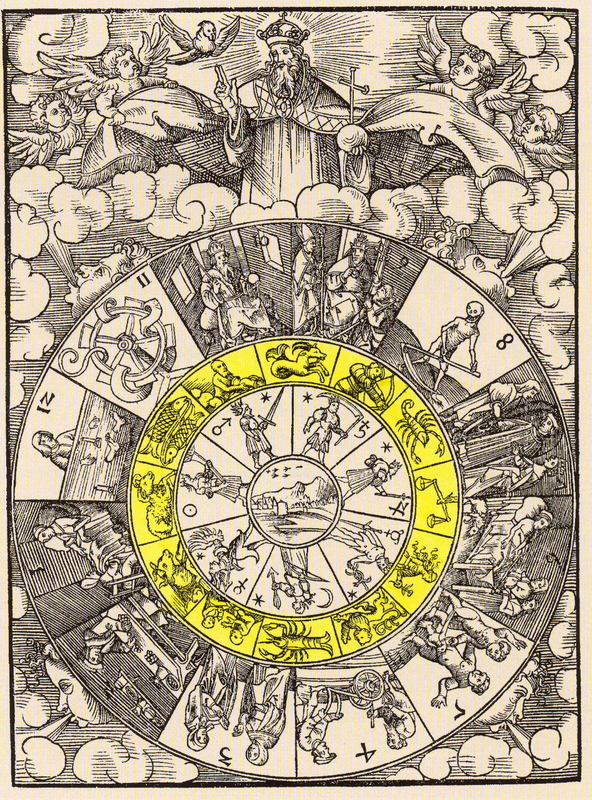 Astrology is considered a form of divination. At its highest level, we have the Astrologers/Wise Men reading the planetary aspects and recognizing that the long-awaited Messiah has incarnated on earth plane. On the in-between and lower levels, we have definite prohibitions. These prohibitions are based on both the negative use of occult knowledge and the negative character of the practitioners. I find only one biblical reference in which the higher forms of astrology, magic, and divination can possibly be prohibited. Deuteronomy 18:10-12 reads: “No one shall be found among you who makes a son or daughter pass through fire, or who practices divination, or is a soothsayer, or an augur, or a sorcerer, or one who casts spells, or one consults ghosts or spirits, or who seeks oracles from the dead. For whoever does these things is abhorrent to the Lord; it is because of such abhorrent practices that the Lord your God is driving them out before you.” This one reference sits within a biblical milieu that supports a positive use of astrology, magic, and divination. The Bible warns against using the occult for personal aggrandizement. The Old Testament does condemn bowing down to the stars and planets to worship them as gods.25 Worshipping the stars is one thing. Using our celestial name, the natal chart, as a guide to fulfill our highest potential as cherished individuals within God’s scheme of creation is another. Worshipping is misuse. Implementing the natal chart as a road map for the soul’s positive development is to accept one of God’s gifts to humanity. In the West, we are also advocates of empirical science. If we cannot see it and prove it, we tend to dismiss it as non-existent or superstition. We say, “Only the uneducated fool would dabble in astrology, magic, or divination.” We, then, lift our heads in a display of intellectual superiority. When we do so, we ignore historical facts. Our Western history books have hidden the history of astrology under the category of astronomy. The heavenly configurations have fascinated humanity from its earliest beginning. No justifiable answer comes to mind. 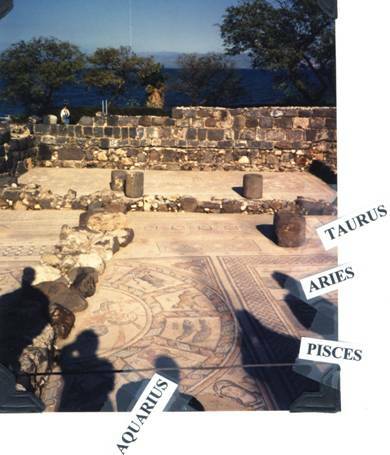 The History of Astrology in Judaism & Christianity offers additional information and photos/pictures. The Endnotes offer additional information. 8 Dane Rudhyar, The Astrological Houses: The Spectrum of Individual Experience (New York: Doubleday & Company, Inc., 1972) 57. 10 Webster’s Ninth New Collegiate Dictionary. 11 Matthew 2:1. See the footnote in the Revised Standard Version. 12 Stephen Benko, “Magic and Divination,” Harper’s Bible Dictionary, 1985 ed. 17 Jeremiah Unterman, “Urim and Thummim,” Harper’s Bible Dictionary, 1985 ed. 21 Webster’s Ninth New Collegiate Dictionary. Filed under: 2012, A NEW AGE CHRISTIAN, Aquarian Age, Astrology, Divine Plan, Esoteric Astrology, Full Consciousness, History of Astrology, Holistic Spiritual Growth, Metaphysical Bible Study, Self-Knowledge, Spirituality |	Comments Off on ASTROLOGY: SACRED OR TABOO?